Dr. Jonas R. Rudzki is a board-certified, fellowship-trained orthopaedic surgeon who specializes in sports medicine, with a concentration on conditions and injuries of the shoulder, knee, and elbow. 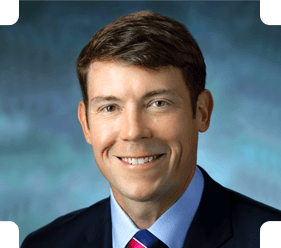 He has been an Attending Surgeon at Washington Orthopaedics and Sports Medicine since August 2006 and serves as Clinical Assistant Professor in the Department of Orthopaedic Surgery at The George Washington University School of Medicine. Dr. Rudzki's research interests include rotator cuff injuries and surgical repairs, shoulder injury in overhead athletes, cartilage biology and transplantation, and trauma outcomes research. His research efforts have resulted in more than 20 publications and led to presentations and lectures at national and international conferences. Dr. Rudzki serves on the Evaluation Committee of the American Academy of Orthopaedic Surgeons and the AAOS Board of Councilors. Active in the evaluation of current research, he serves as a Consultant Reviewer for the American Journal of Sports Medicine and the Journal of Bone and Joint Surgery. His research experience, academic interests, and commitment to clinical excellence shape his approach to care with a focus on individualizing treatment for patients to fit their unique lifestyles and injury patterns. Dr. Rudzki completed his fellowship on the Sports Medicine & Shoulder Service at the world-renowned Hospital for Special Surgery in New York after his residency at the Barnes-Jewish Hospital of Washington University in St. Louis, Mo. Dr. Rudzki and his wife have three children. He enjoys triathlon training, coaching youth soccer, and spending time with his family. Barnes-Jewish Hospital / Washington University School of Medicine - St. Louis, Mo.